college’s botanic gardens, and use the entire campus for study and exploration. floor; a learning resources space; a large art room with pottery kiln; and a music room and full sized gymnasium. from our school is another playing field, which serves as a space for physical education activities. 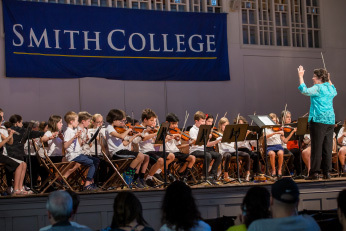 Students also use Smith College athletic facilities when appropriate.